In the immediate aftermath of last week’s mid-term elections, which saw the Democrats regain control of the House, many in the GOP fretted that this could portend a long-term trend, extending well beyond the 2020 cycle. 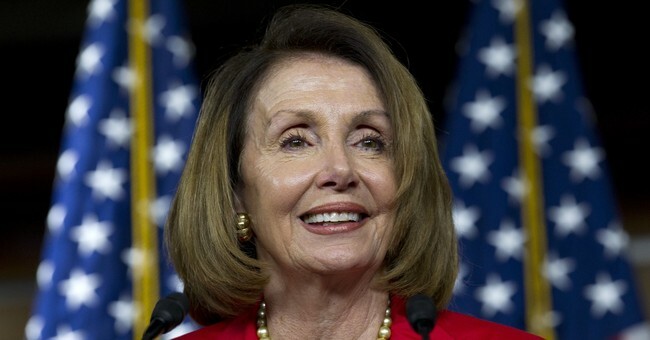 However, and notwithstanding the understandable disappointment in the Republican caucus at being demoted to minority status, the “agenda” being put forth by soon-to-be Speaker Nancy Pelosi and her band of extreme Liberals poised to chair important House committees, might actually be a silver lining to this dark cloud. The 1994 election brought the first Republican House majority in four decades; in large measure because then-Minority Whip Newt Gingrich and a small group of firebrand colleagues crafted and presented to the voters a real agenda. The “Contract with America” described for the electorate 18 issues to be voted on within 100 days of the 104th Congress, if the voters gave the GOP a majority in the House. The voters responded positively, and the new Republican majority followed through on its part of the bargain; bringing such important matters as term limits and a balanced budget amendment to the floor for open votes. That policy-driven agenda set the stage for historic action by the Republican majority in the House over the ensuing two-and-one-half years, leading in mid-1997 to a balanced federal budget for the first time since the 1960s. All this and more was accomplished with a Congress controlled by the GOP and a Democrat in the White House. And while factors relating to President Clinton’s impeachment in late 1998 derailed the ability of the two branches to continue working together on substantive matters such as those, for that brief, shining moment substance prevailed over partisanship in the Nation’s Capital. In place of a substantive policy agenda with which to begin governing when the 116th Congress convenes next January, Pelosi and her angry minions have prepared a shopping list of more than 85 investigatory targets focused not on matters of substance or national importance, but on Donald Trump personally, his family and his associates. Promised investigations range from securing access to Trump’s tax returns, to inquiring into Ivanka Trump’s clothing business. Rather than moving forward with their version of a Contract with America, Democrats are pinning their entire hopes on a “Contract for Revenge”; intent on dragging the public through dozens of partisan investigations, scripted “outrage” soundbites, and hollow impeachment attempts. Such strategy indicates Democrats have largely if not completely abandoned any hope of bipartisan cooperation, settling instead for passing a handful of symbolic bills, probably to include their go-to favorite, gun control, all designed as nothing more than fodder for the 2020 presidential election. Senate Democratic Leader Chuck Schumer, otherwise a smart and crafty politician, appears by his silence to be giving the green light to Pelosi’s and Maxine Waters’ scorched-earth strategy in the House. Apparently, Schumer and his Senate colleagues still fail to realize how much their over-the-top performance during the Kavanaugh confirmation hearings cost them in the just-concluded Senate contests.